A new book with the fractal Depth on the cover has been published. It is a book about strategy and management written by Winfried van Overbeek in dutch. My second gallery named "Winter 2004-2005" created with XaoS is now online. 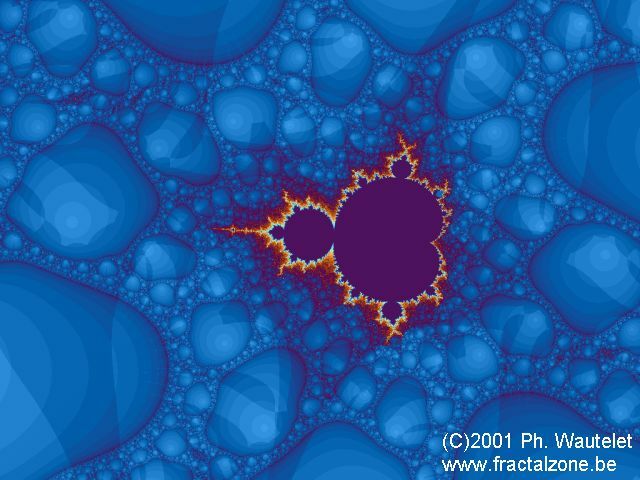 It contains a selection of 20 new pictures which represent various fractal types. If you like them, you can buy them and get posters, mouse pads, magnets, t-shirts or even download high-resolution images. The Post Theatre Company at Long Island University selected the fractal called "spiral" to illustrate their programme for the 2004-2005 season. You can find a copy of the cover on the bookcovers page. The improvements to the design of FractalZone continue. The menu has been redesigned and a lot of small changes have been made. There is still work to do to standardize the various pages but it is under way. I also intend to add a new gallery in several weeks and to update the content of the site. After three years with the same design, it was time to modify it to a more modern one. This is now partly done! More changes will appear soon. Please feel free to give your opinion and suggestions. The first gallery of the year is now available. 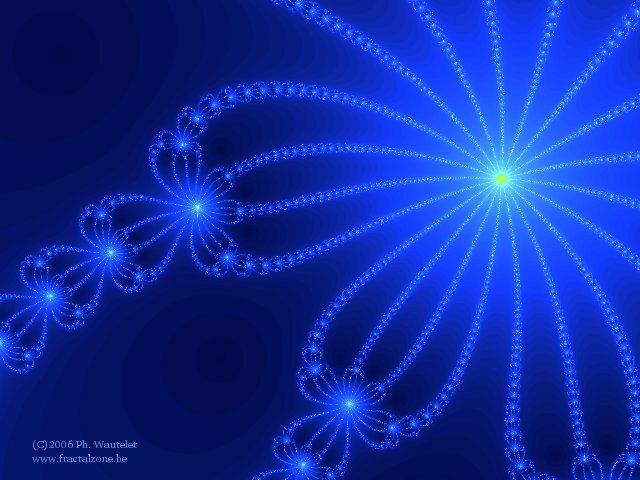 I selected 20 new fractals created with XaoS 3.1. These are my first creations with this software. Enjoy them! A new book with the fractal Mandelbrot 05 on the cover has been published. This is the third bookcover I get. A revised edition of the two first is also expected in 2004. If you want one of my image on your book, please contact me. No, FractalZone is not dead! I know I didn't update it recently, but I had too many other things to do. 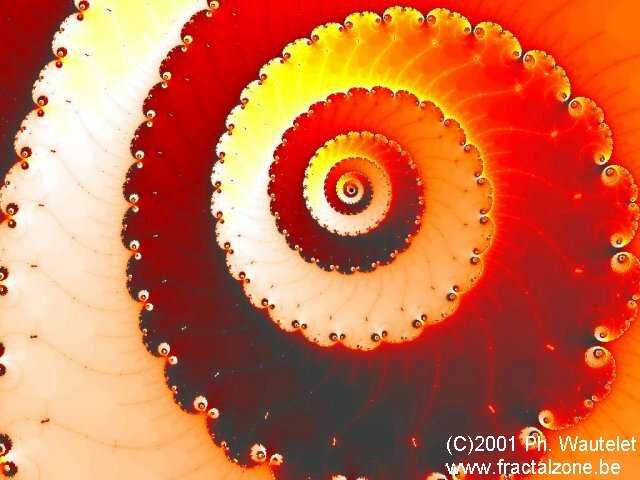 In the following weeks, I intend to add a series of reviews of fractal software (mainly for linux). I already tested some, but have not yet written anything.